Conference Topic: "Facilities & Tax Incentives for Green Technology Industry"
Mr Shahzul Jayawirawan Mohd Yunus joined the Malaysian Investment Development Authority (MIDA) in 2003 as Assistant Director of Transport and Metal Industry Division where he gained knowledge and experience on the industries. Throughout his career for 14 years, MIDA has provided him the opportunity to be part of the country’s industrial and services development. He has served MIDA in various Divisions i.e. in Machinery & Engineering Supporting Industry Division and Electrical & Electronics Division and has been responsible to promote and develop these specific industries. 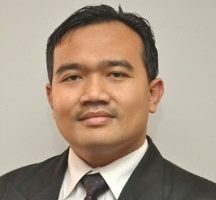 In 2009, he was posted to MIDA office in London serving as Assistant Director for 4 years, gaining the experience of promoting and attracting business and investment from United Kingdom and Ireland to Malaysia. In 2014, he is assigned to Green Technology Division (formerly known as Clean Technology and Environmental Management Division) as the Deputy Director. Mr Shahzul Jayawirawan Mohd Yunus graduated with a B.Eng. (Mechatronics Engineering) from the International Islamic University of Malaysia.